Norway is known for the beautiful Aurora Borealis and the dreamy snow covered hamlets in the peak of its winter. But it is also known for its midnight sun and the long, cheerful summer days. 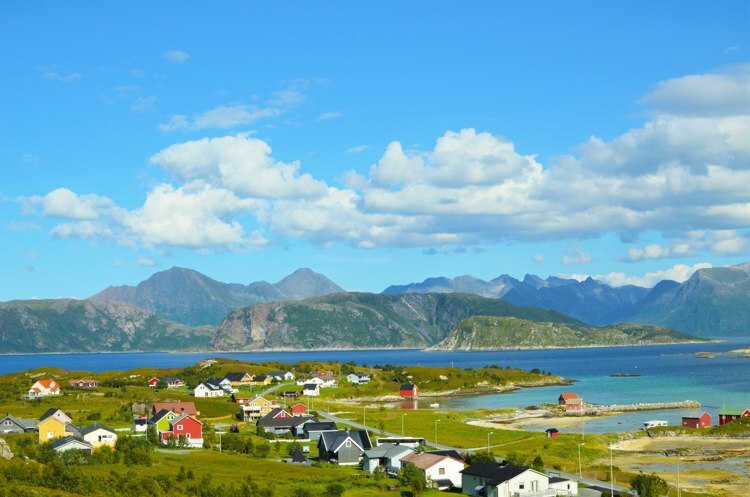 We bring you Six Summer Experiences in Norway to help you plan that summer trip. Just beyond the picture perfect row of colourful houses of Bergen is the Fisketorget or Fish Market which has been an integral part of Bergen since the 12th century. The hustle and bustle begins in the wee hours of the morning as fishermen set up their shops. 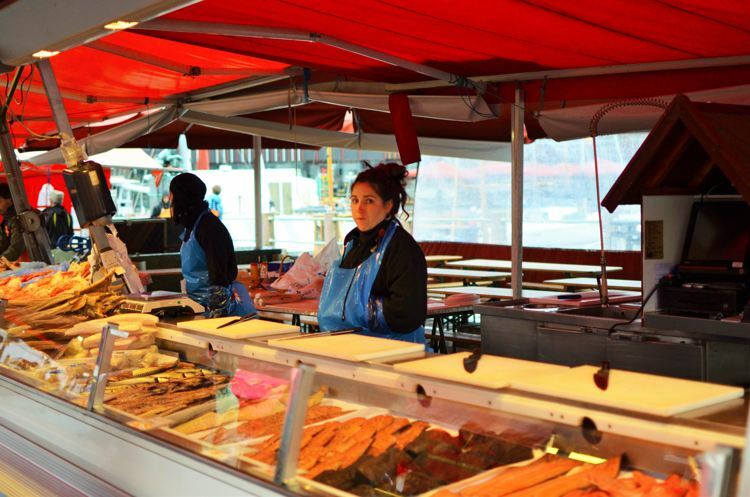 By 9 AM when the doors of Fisketorget are thrown open you find yourself encapsulated in wafts of deliciously prepared seafood, freshly baked pumpernickel bread, creamy garlic aioli and all those oceanic smells that will remain etched in your memories. When you walk around you’ll find the stallholders more than eager to give you a taste of their fresh caviar or smoked arctic whale if you are up for a different experience! If you are a vegetarian be sure to try their fresh bread with garlic aioli – it is guaranteed to blow your mind away! 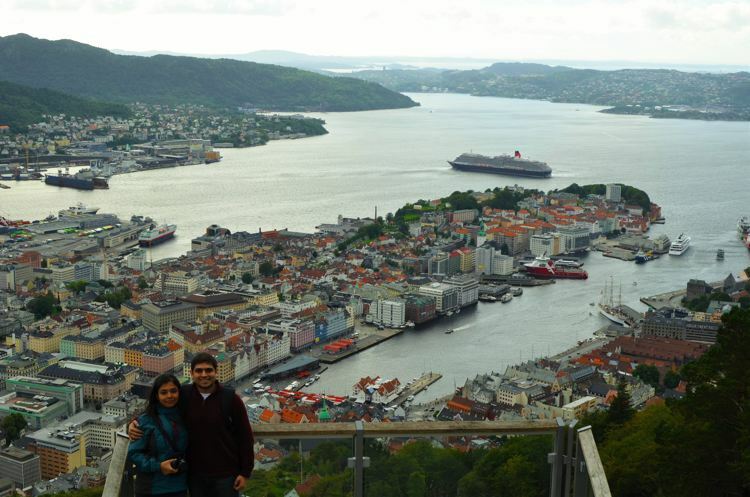 The 95 year old funicular, Fløibanen, is possibly one of the more touristy things you would do in Bergen – but the view from atop Mount Fløyen will make up for it. The carriages take about 5-8 minutes to ascend the height of 320m above sea level, slowly revealing the town of Bergen, and literally expanding your horizon! During the summer months, you can take the last tram up at 11:00 PM, watch the sun set over Bergen and then enjoy the downhill walk along the winding pathways of Fløyen. 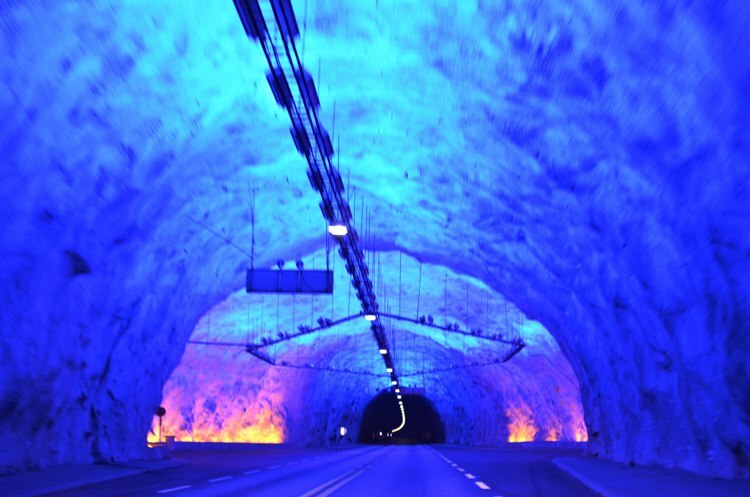 Psychedelic lights to break the monotony of the 24.5km long Laerdal Tunnel – the longest in the world! If you love driving then this would be one of the best experiences not just in Norway but also in the world. Welcome to the Lærdal tunnel – at 24.5km, it is the longest road tunnel in the world. If you take the scenic route from Bergen to Flam, you will pass through this tunnel. The tunnel is divided into four sections to take into account driver fatigue. Each section is separated by a large mountain cave that has blue and yellow lights to give an impression of sunrise. We were not sure about the sunrise, but they sure seemed like psychedelic lights straight out of a Pink Floyd concert! 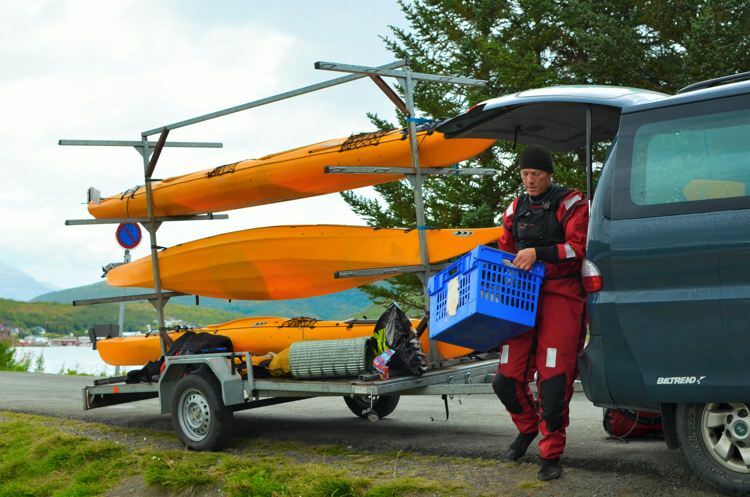 You can sure go kayaking in many places around the world, but there is a unique thrill in sea kayaking inside the Arctic circle along the beautiful northern coast of Norway. The currents and the winds will decide where you would kayak for the day. Take a halt anywhere along the secluded coast for some tea and refreshments, enjoy the summer sun and remember the experience of a lifetime! We recommend Tromsø Villmarksenter for this and many other summer activities. 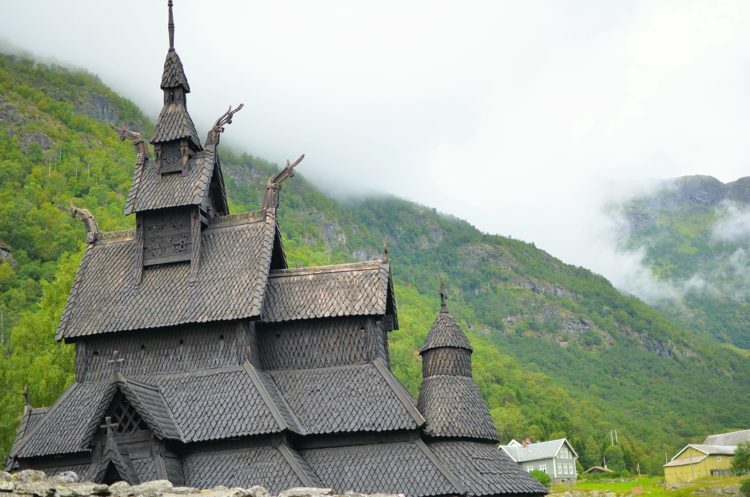 The stave church at Borgund is one the 28 remaining stave churches in Norway and one of the oldest. These were built during the Middle Ages when there were massive stone cathedrals being built in other parts of Europe. The Vikings however, were masters of using timber and wood-works. A short drive from Flåm will take you through once again through the Lærdal tunnel (as if that wasn’t reason enough). 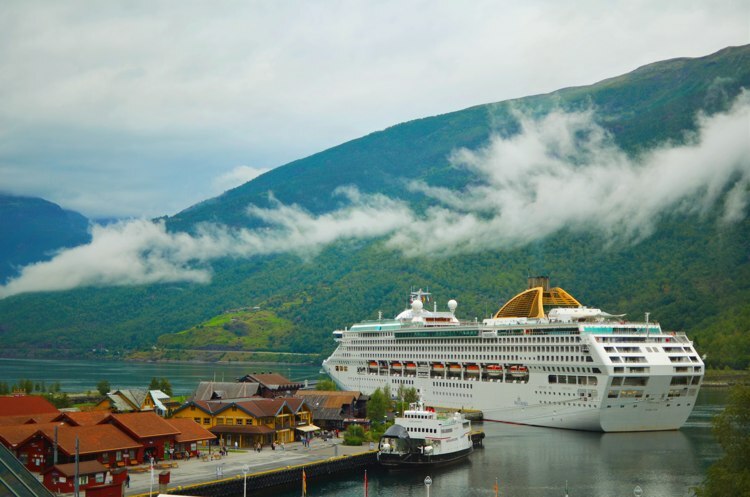 Oh and definitely visit Flåm while you are in Norway! Flåm is a town of contrasts. It is a sleepy little town with a population of 350 located at the tip of Aurlandsfjorden – a branch of the larger Sognefjorden. But during summer days cruise-ships full of tourists descend upon it choking the facilities and the tranquillity of this hamlet. 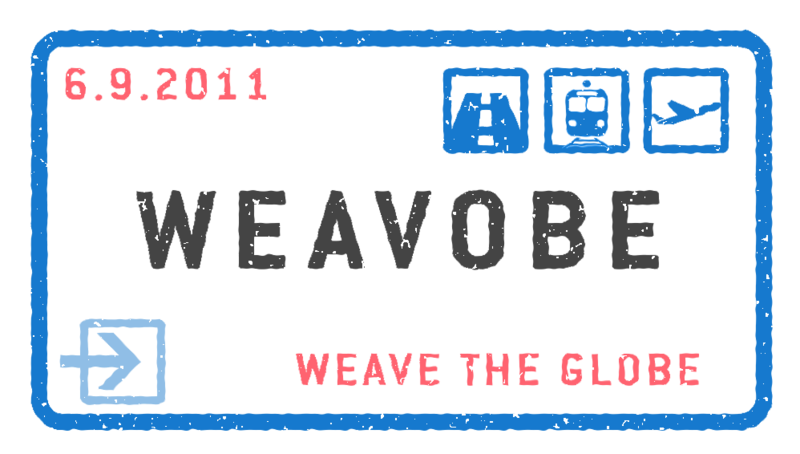 The seasoned travellers emerge from their all day treks or cycling adventures in late evenings and the last of the Flåmsbana trains (one of the most beautiful train journeys in Norway) returns home. As the sun goes down, the Ægir brewery comes to life, with its refreshing brews and delightful dinner! Our suggestion is to respect the town and it’s facilities and make sustainable use of their resources. Live in one of the few hotels and B&Bs in Flåm or hop on the Flamsbana and head up to Vatnahalsen Hoyfjellshotell! Did you see the mid night sun? We did see the midnight sun. Although we didn’t make the hike because we intend to visit Norway again, for sure!